Our bi-monthly Community Team chat is happening this Thursday, 5 October. Meeting times are 08:00 UTC and 20:00 UTC in #community-team on Slack – we use the same agenda for both meetings in order to include all time zones. This post is still open for discussion; if you have not already commented, please do so! 🙂 Another big thanks to @francina for putting his proposal together. Case studies in the handbook? If more experienced deputies aren’t available, I’d be happy to lead the 20:00 UTC discussion. 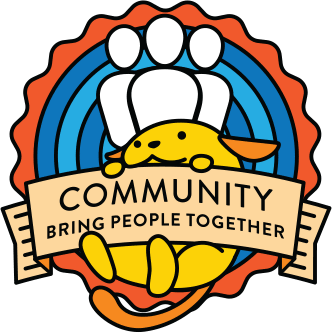 I’d like to bring one topic to attention – how can WordCamp Europe help spread the words about European WordPress events. Last year we didn’t have enough people in the Communication team but this year we are more equipped so we’re thinking of how can we help local European events gain more reach. We will be doing that by giving them access to our social media channels (Twitter and Facebook), promoting them there, and we want to hear thoughts about how can they get in touch with us (for example if ticket sales are not optimal, if they need speakers/sponsors, that sort of things).